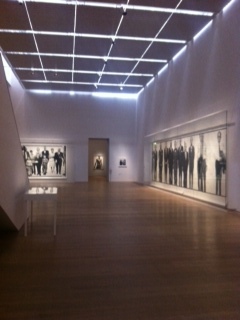 An amazing exhibition at the Brandhorst Museum of exceptional works by Richard Avedon. After a month vacation in Greece and Italy, my afternoon walk at this exhibition highlighted my summer, The images selected for this exhibition focus on a different aspect of his work other as he is known for his influence on fashion photography. Avedon politically enlightened and liberally minded, made four large photographic murals between 1969 and 1971 in the face of the social and political upheaval and change in the USA. Three of these four works are being shown in the Museum Brandhorst. The murals are complemented by three other groups of work, comprising a selection of striking portraits made from the ’50s onwards. 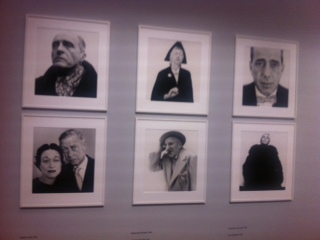 The broad spectrum of sitters ranges from Francis Bacon to Samulel Backett, Truman Capote, Marcel Duchamp and Bob Dylan, as well as to Buster Keaton, Marilyn Monroe and Ezra Pound.